Come join Kitty Rotten as they help save cats and drink beer on June 5th at Yard’s Brewery! Come on out to A Dog Day Afternoon at Columbus Square to hear Kitty Rotten play and to help raise money for a new dog park! 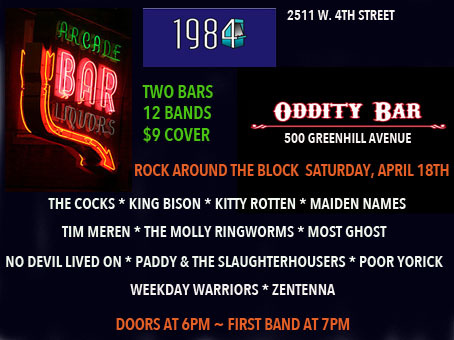 Join Kitty Rotten and 11 other bands at Rock Around the Block at 1984 and Oddity Bar in Wilmington, De on April 18th.